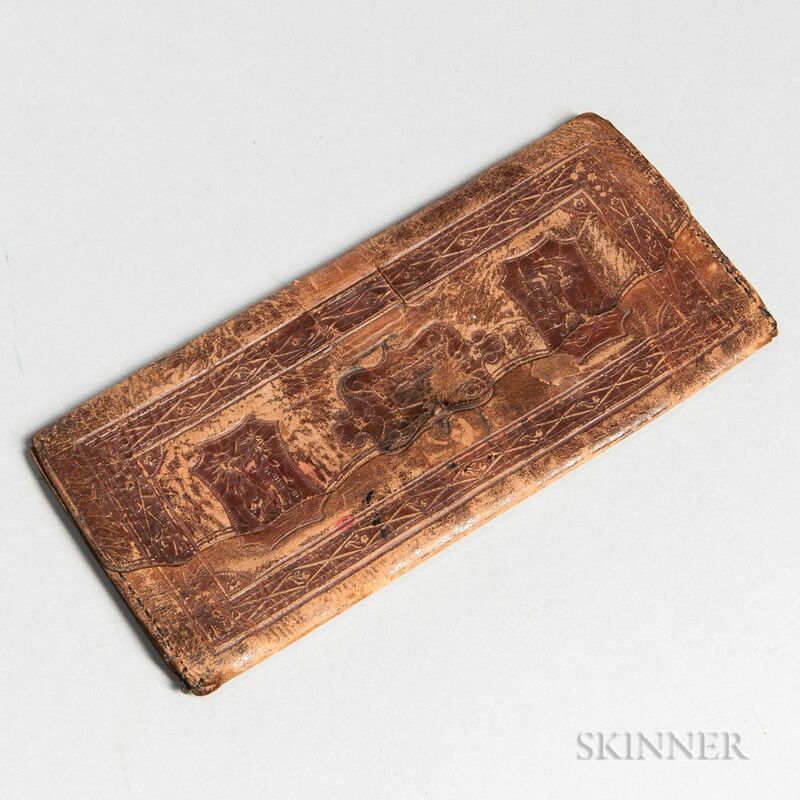 Embossed Leather Wallet with Hunting Scenes, 19th century, opens to three compartments, ht. 3 1/4, wd. 7 1/8 in.